Rising 20,310 feet (6,190 meters) into the sky, Denali is North America’s highest peak. Denali National Park and Preserve covers six million acres of pure wilderness. The park is an easy drive, just over two hours, or a four-hour train ride from Fairbanks. Traverse the Denali Park Road in your own vehicle to mile 14 or journey deeper into the park via tour bus. Visitor services are available along the Parks Highway, near the entrance into the park, at campgrounds and visitor centers, and in Kantishna and remote lodges. At the park, activities, dining, shopping, lodging, services and transportation are as varied as the travelers. Whether you choose to simply take in the pristine wilderness or explore the rugged backcountry, there are plenty of options to help you discover Denali. One of Alaska’s most popular destinations, Denali National Park and Preserve is wild and breathtakingly beautiful. The park’s varied terrain includes brilliant mountains, pristine rivers and lakes, colorful tundra, alpine meadows, sweeping vistas and abundant wildlife. On a trip inside the park you may spot moose, caribou, Dall sheep, grizzly bears, wolves or any of the hundreds of other species that call the area home. 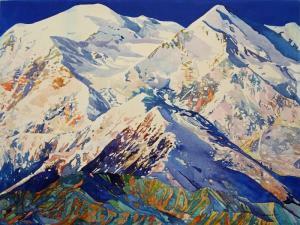 The legendary crown jewel of the Alaska Range, Denali, means “the Great One” or “High One” in the Athabascan language. Steeped in history, glorious to view the mountain beckons like no other. Why not visit Denali in winter? 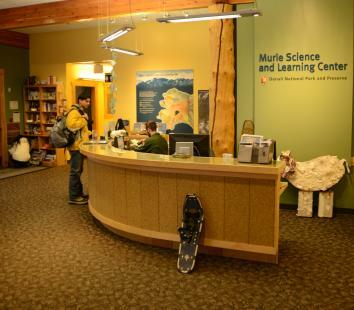 The welcoming Murie Science and Learning Center is open daily year-round and offers free snowshoes and advice on how to explore the park during winter months. Mid-February, the National Park Service plows the first 12.5 miles of the Denali Park Road to the Mountain Vista Rest Area—a beautiful spot with views of the grand mountain during clear weather. Just over two hours from Fairbanks, Denali National Park is a magnificent winter journey’s end. 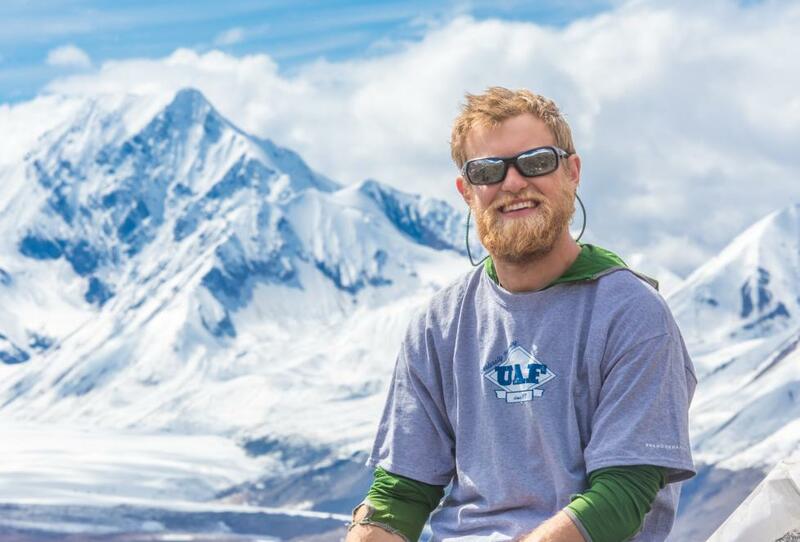 "The thirty days that I spent walking through the wilderness of Denali National Park while working on my undergraduate geology research for the University of Alaska Fairbanks were some of the most unique and inspiring days of my life. Every day when I unzipped my tent door, I tilted my head back to look at the massive beauty that is Denali and could not help but wonder, “Why is it so big?” It is one thing to look at pictures of the Great One, but it is a remarkable experience to actually stare up at it. Growing up in Alaska I have seen many beautiful landscapes, but Denali is truly stunning. Walking through the glaciated wilderness provides an unparalleled feeling of solitude that is special to the park. 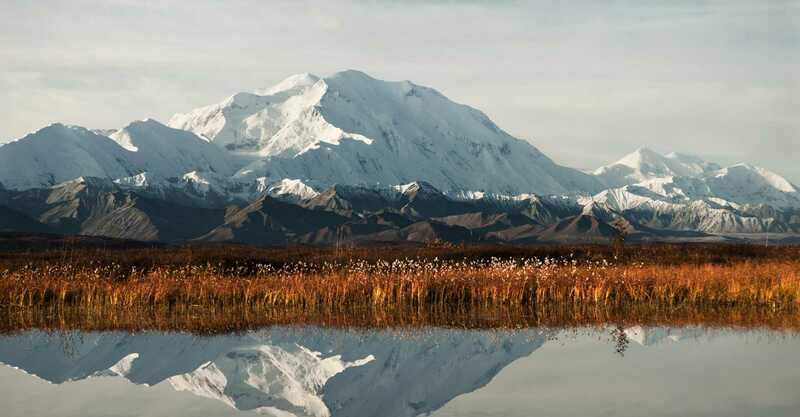 To me, Denali is truly the heart of the Alaskan wilderness."